An ideal place for lovers of PVP or Hunger Games Minecraft mod. 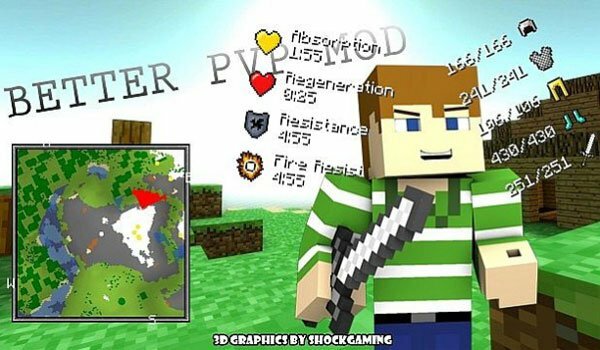 Better PVP 1.7.2 and 1.7.10 is a mod that adds a lot of extra information on your Minecraft screen so we can see all time our health, altered states of our character, as well as the strength and durability of our armor, plus enchantments that he is having. All of this and lots of other things without having to open or search inside the inventory. The mod also adds a mini map and shows how many arrows ara available in case you have a bow, among other information. This can be very useful in PVP games like the Hunger Games, where the reaction time is sometimes vital to continue in the game. How to install Better PVP Mod for Minecraft 1.7.2 and 1.7.10? 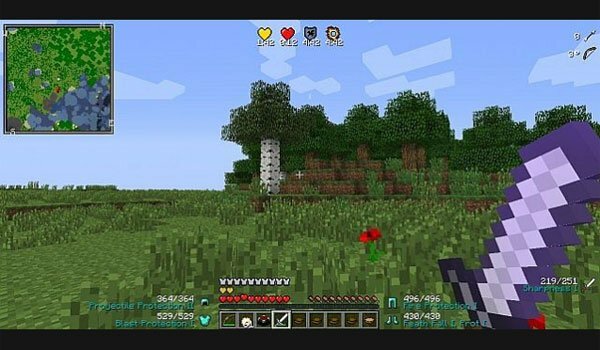 Screen information to express PVP items in Minecraft!